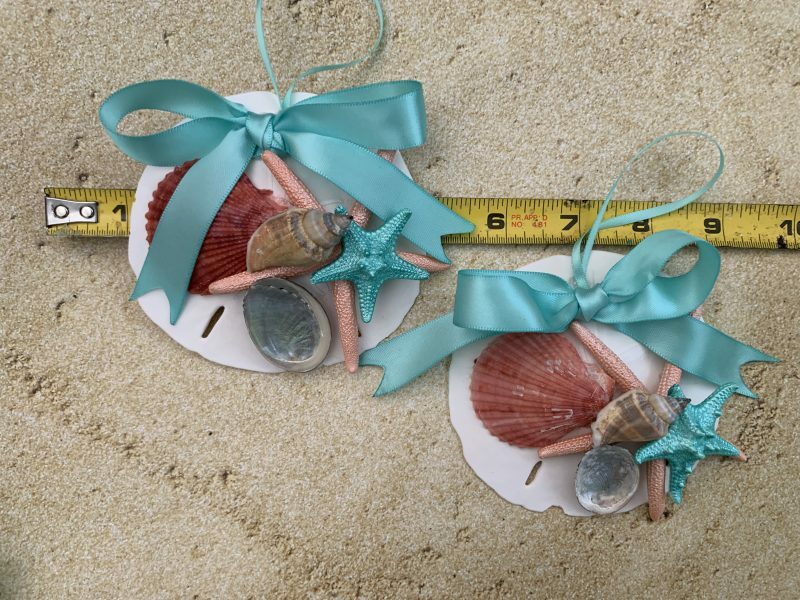 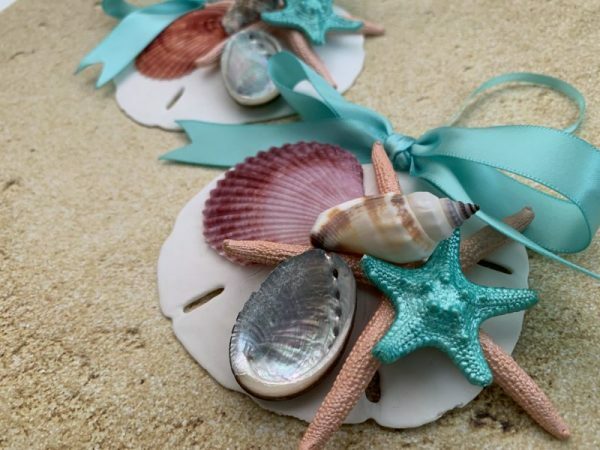 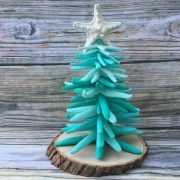 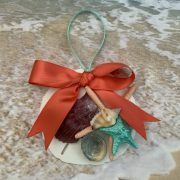 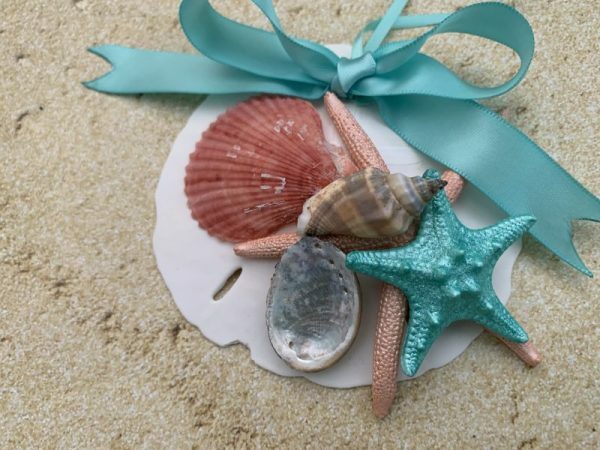 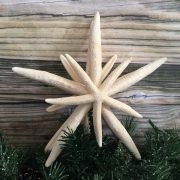 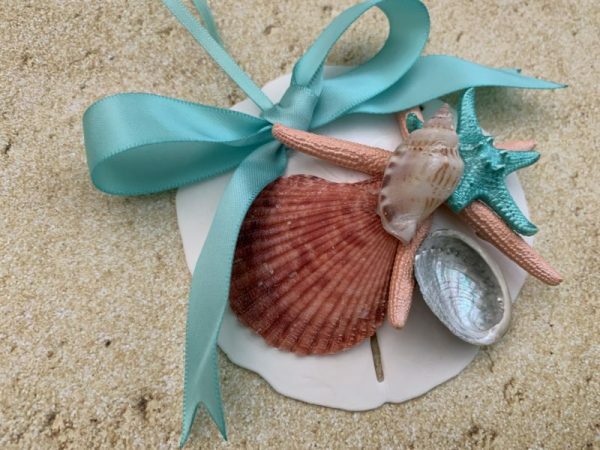 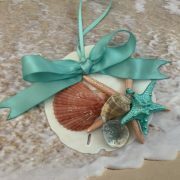 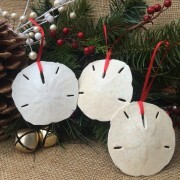 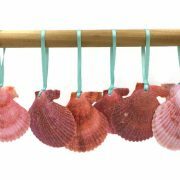 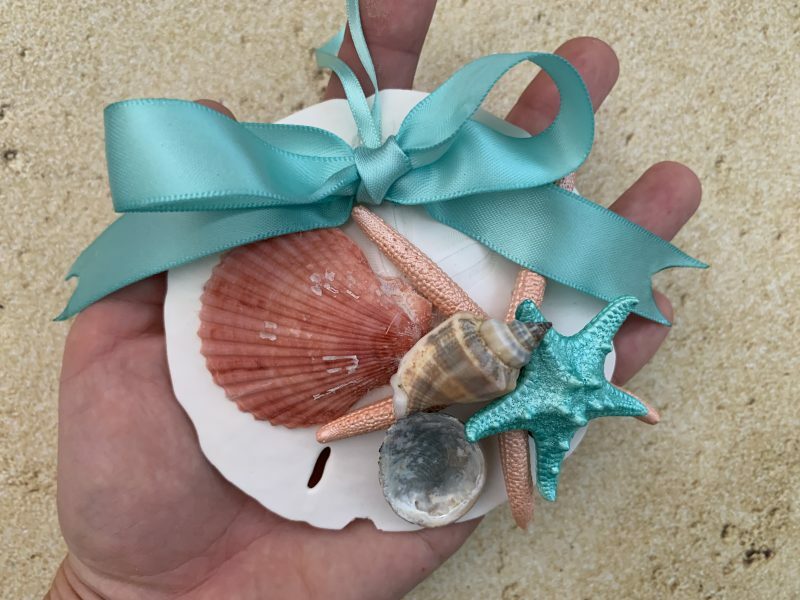 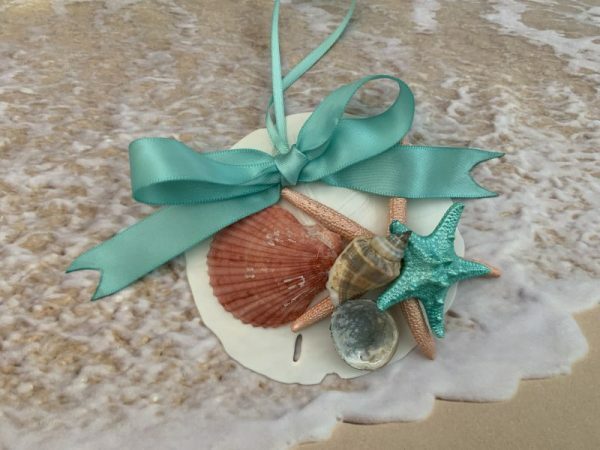 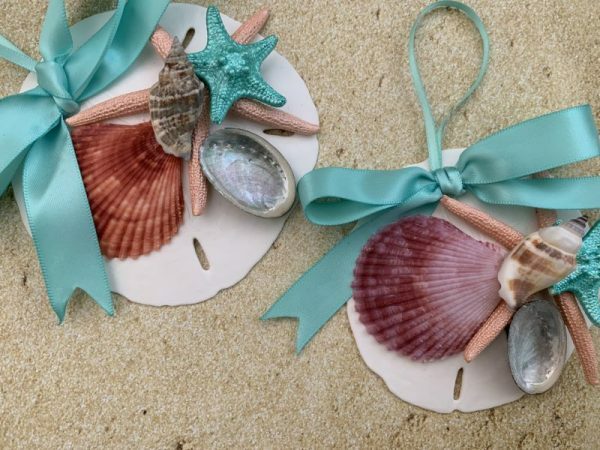 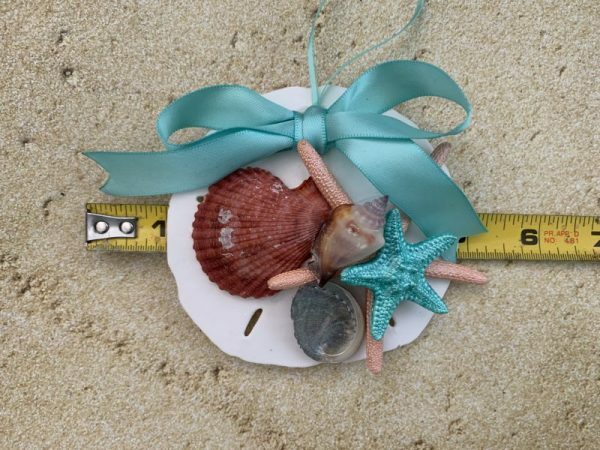 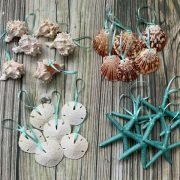 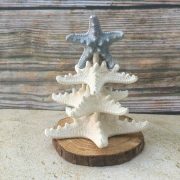 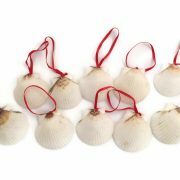 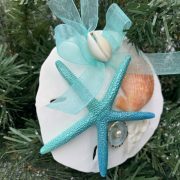 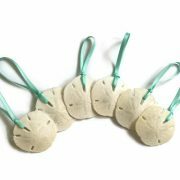 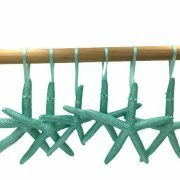 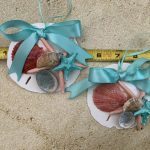 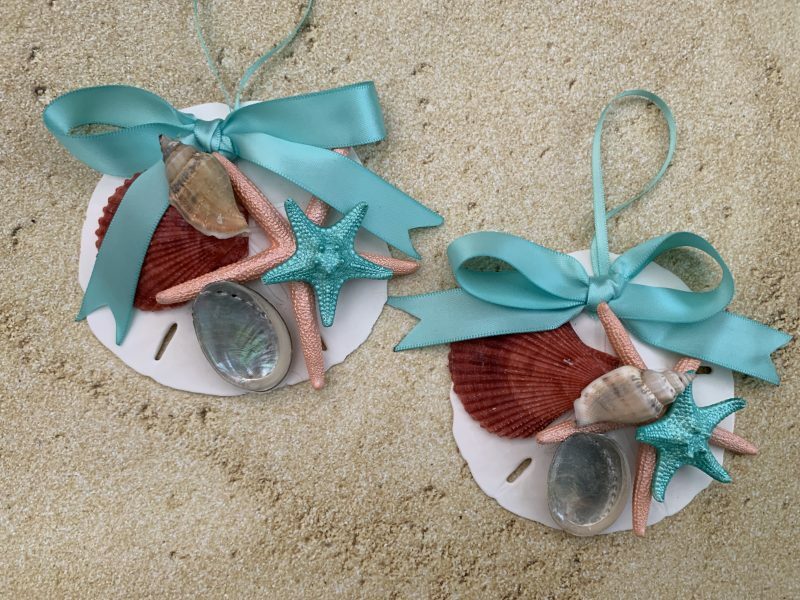 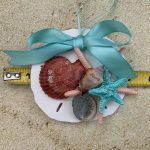 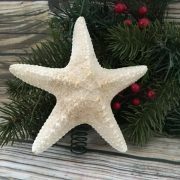 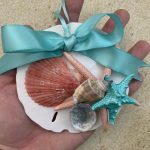 Each Sand Dollar is finished with a metallic peach coral finger starfish with metallic turquoise knobby starfish; magenta-purple scallop seashells, abalone shell, and small Strombus Urceus seashell. 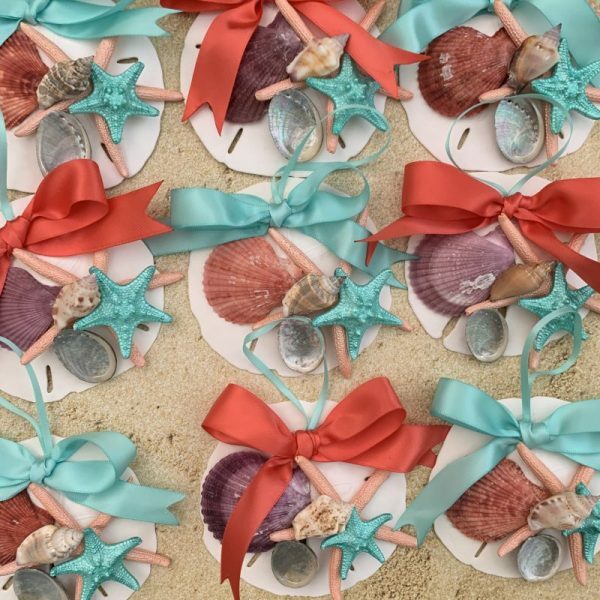 Click here for the coordinating one with a coral bow. Last photo shown with both color options.